Dubai: Dubai’s master-developers have cottoned on to the best way to overcome the soft demand for high-end property — sell plots instead. A trend that was initially limited to one or two developers is now gaining wider acceptance, and even have them targeting not just the very high net worth investor. Recently, Damac Properties opened plot sales at its Akoya development, offering land for Dh600,000 and more and where the buyer has an extended timeline of up to 10 years to build on them. “For those investors considering suitable long-term opportunities, this development represents the perfect occasion to plan for their children’s future, their own retirement or to grow and enhance their financial portfolios,” said Ziad Al Chaar, Managing Director, in a statement at the time. Plot sales definitely are going mainstream from the niche it occupied when the first ones were effected at the super-premium Emirates Hills cluster or at locations further out from the city such as Al Furjan in Dubailand. Now, the formula is being applied to master-communities such as MBR (Mohammad Bin Rashid) City and Deira Islands as well as the city’s established neighbourhoods as Jumeirah. “Meraas had a terrific response when it came up with plots in Jumeirah, typically around 10,000 square feet and about Dh600-Dh700 a square foot,” said David Godchaux, CEO of Core Savills UAE, the consultancy. “There are few locations that can match Jumeirah’s prestige even with all the other upscale communities that were created subsequent to Dubai’s freehold push. But developers trying to pursue plot sales need to be quite sure about what they are offering. If enough investors do buy in, it can free the master-developer to focus exclusively on creating the wider infrastructure needs of that location rather than have to do the individual homes as well. But on the flip side, not building those homes will mean sacrificing the sizeable margins that typically accompany property development in the UAE. “Selling plots instead of properties does augment the developer’s upfront cash flow though it compromises his margins from the sale of property,” said Sameer Lakhani, Managing Director of Global Capital Partners. “But by pushing/sharing much of the development burden with individual investors, the master-developer can accelerate development of the overall project. Historically, a lot of Dubai’s master-developments have got bogged down over the smaller details. 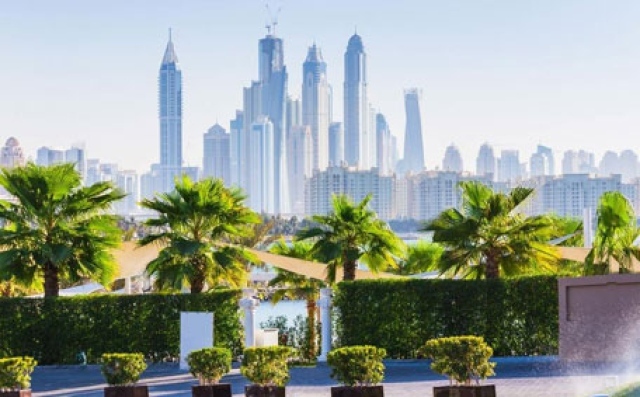 Plot sales add a relatively new dimension to Dubai’s freehold market by trying to attract a more discerning level of investor, who has quite clear thoughts on how his or her completed property should look like. It also means that only the wealthy can afford to do so. “The plots that are usually sold in Dubai tend to be larger in size, and effectively end up costing Dh1 million and more,” said Sameer Lakhani, Managing Director at Global Capital Partners. “To build on that stretch of plot would conservatively require another Dh2 million to Dh3 million, which effectively means it’s a rich man’s indulgence. “More affordable plots of Dh500,000 or more might cost another Dh500,000-Dh600,000, but be able to accommodate a built-up of only 1,200 square feet. That’s way to small. * They need to determine quite early on whether this would be an investment in the land itself or on a mix of land and property. * There are many procedures that the investor needs to go through to emerge with an ironclad agreement that takes care of his rights as well. And he must ensure there are enough legal safeguards written into the purchase agreement. * The investor must have time on his side — all of the no objection certificates required for the build process do take time to clear. Prepare for anything between six months to a year.